"A ransom note was left in the house demanded the oddly precise sum of $118,000, but there was no sign of a break-in. 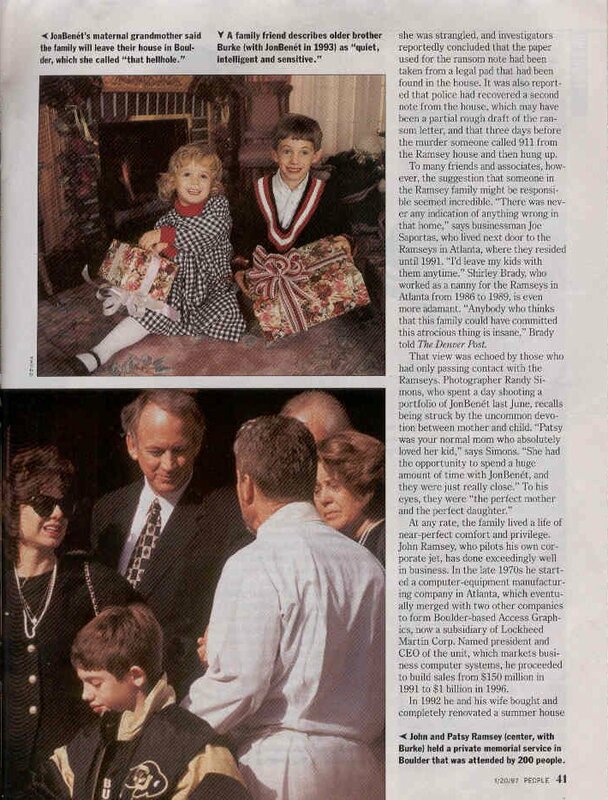 Although JonBenet's half-brother John, 20, had been with the family Christmas Day, the only people know to have been in the Ramsey home that night are JonBenet, her older brother, Burke, 9, and her parents, Patricia (Patsy), 40, Miss West Verginia of 1977, and John, 53, a sucessful computer executive, who found his daughter's body." 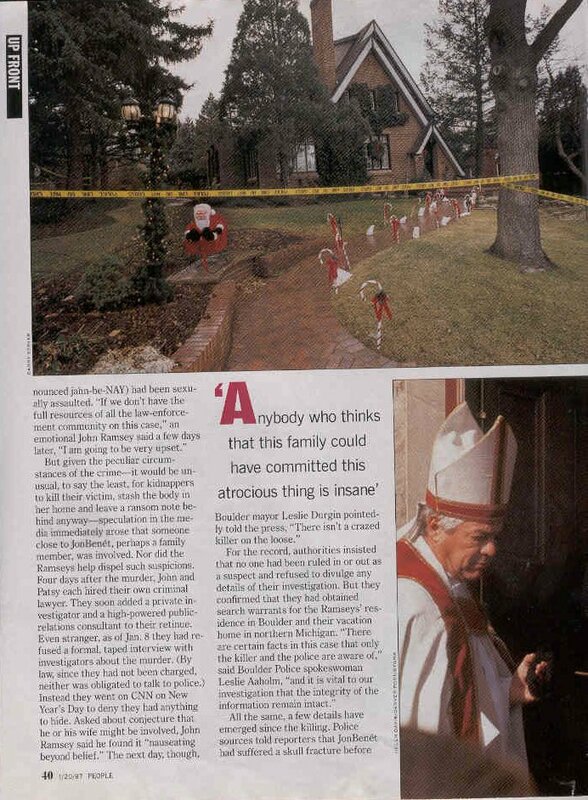 (Page 40): "All the same, a few details have emerged since the killing. 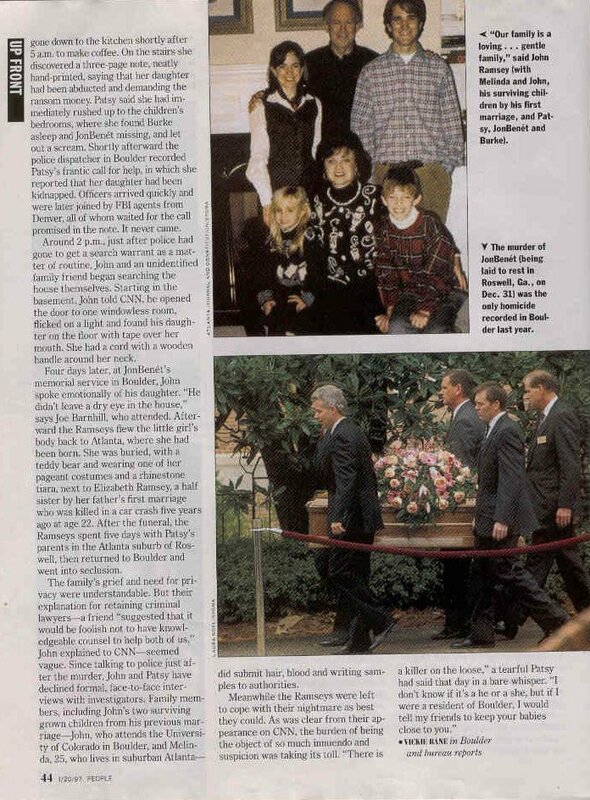 Police sources told reporters that JonBenet had suffered a skull francture before she was strangled, and investigators reportedly concluded that the paper used for the ransom note had been taken from a legal pad that had been found in the house. It was also reported that police had recovered a second note from the house, which may have been a partial rough draft of the ransom letter." 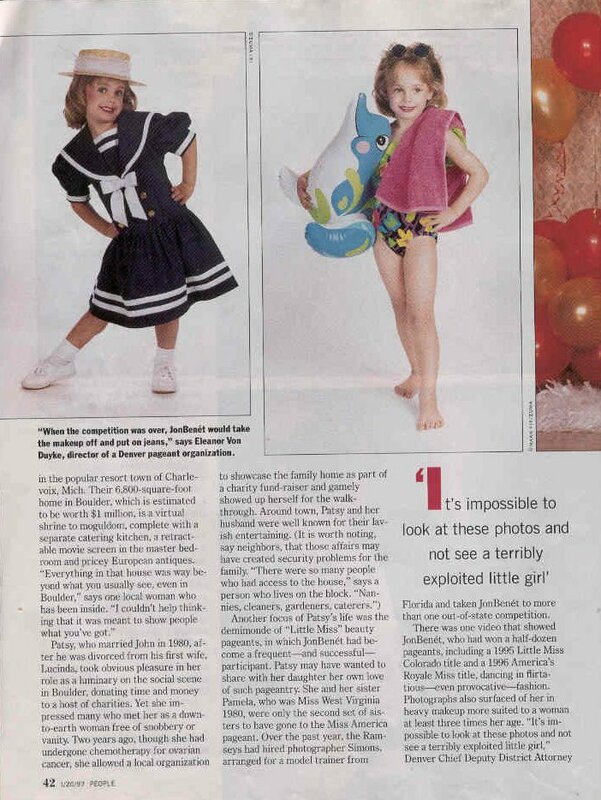 (Page 42): "Over the past year, the Ramseys had hired photographer Simons, arranged for a model trainer from Florida and taken JonBenet to more than one out-of-state competition. 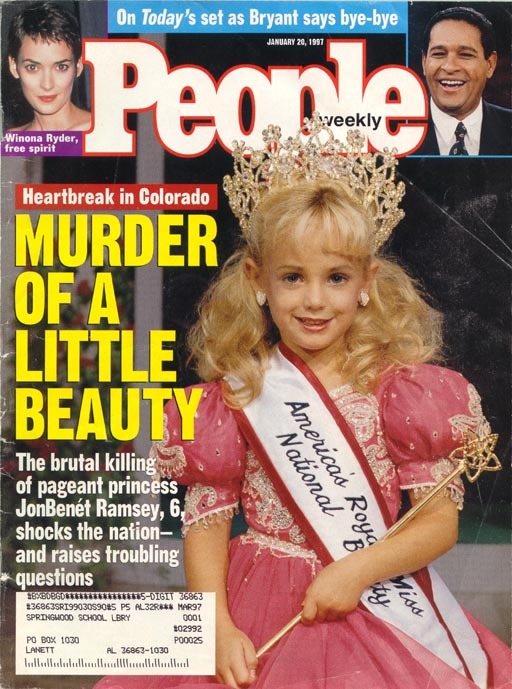 There was one video that showed JonBenet, who had won a half-dozen pageants, including a 1995 Little Miss Colorado title and a 1996 America's Royal Miss title, dancing in flirtatious--even provacative--fashion." (Page 43): "She had a natural ebullience, especially when it came to her beloved dog Jacques, a bichon frise she had recieved on her fifth birthday. "She loved that little dog," says Joe Barnhill, a retiree who lives across the stree from the Ramseys. "She would lie down on the floor and let the dog lick her face, and she would laugh and laugh. 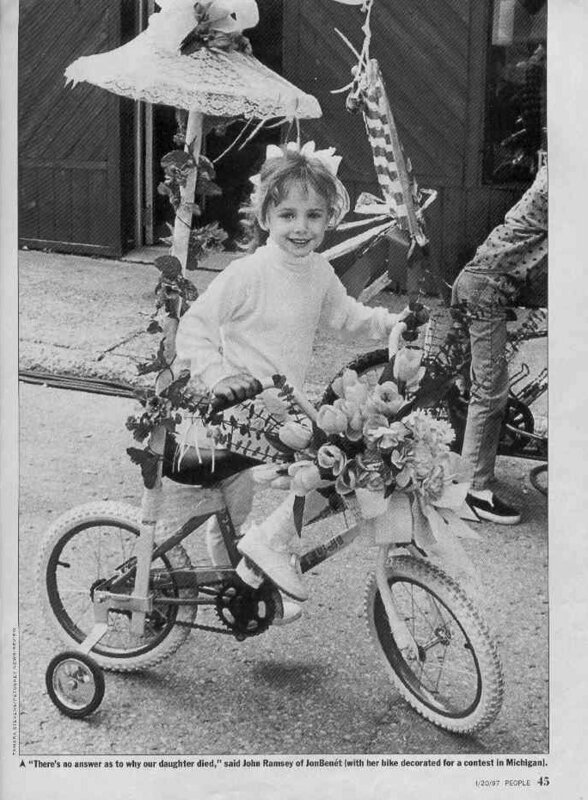 It tickled me to see such joy and happiness."